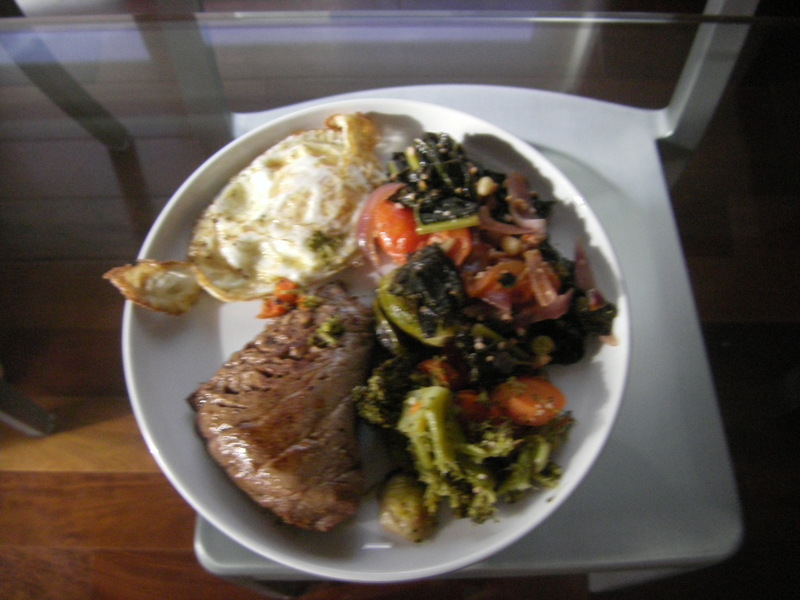 Best part of cooking is leftovers! In a large container pour soy sauce, 1/2 tea-spoon of chinese five-spice, 3/4 tea-spoon of Chesapeake bay seasoning, wasabi, and olive oil. Use a whisk to mix well until it’s slightly foamy. After you rinse your steaks and pat them dry place in the marinade and close container. Refrigerate for 1 hour (you can do 1/2 hour but the longer you marinade the juicier your steak will be). Kale is really healthy and a great anti-oxidant. Try this nutty-flavored recipe for a great side dish. Rinse kale, tomatoes and onion. Chop red onion into slices and separate into strands and toss in a mixing bowl with half a tea-spoon of olive oil. Place on pre-heated medium-heat pan along with your minced garlic (mix well) and stir occasionally for 3 minutes. 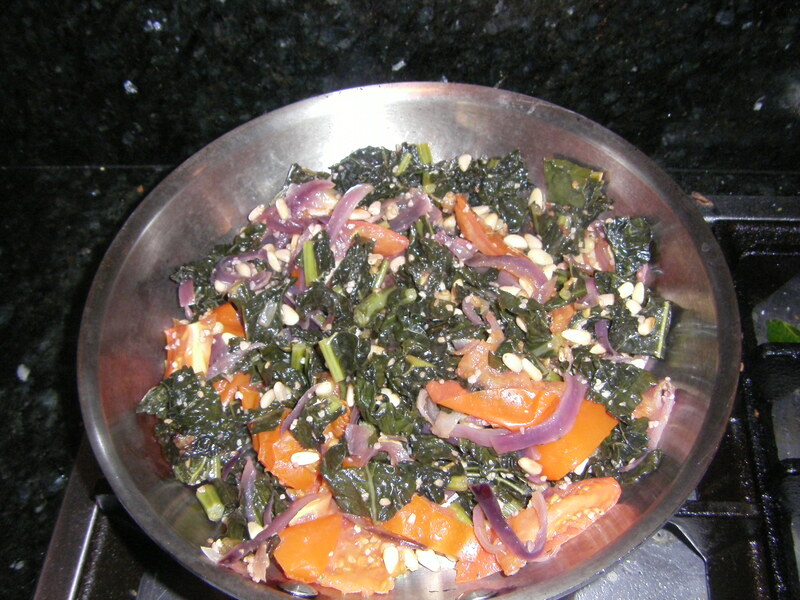 Chop kale and mix in bowl with pine nuts. 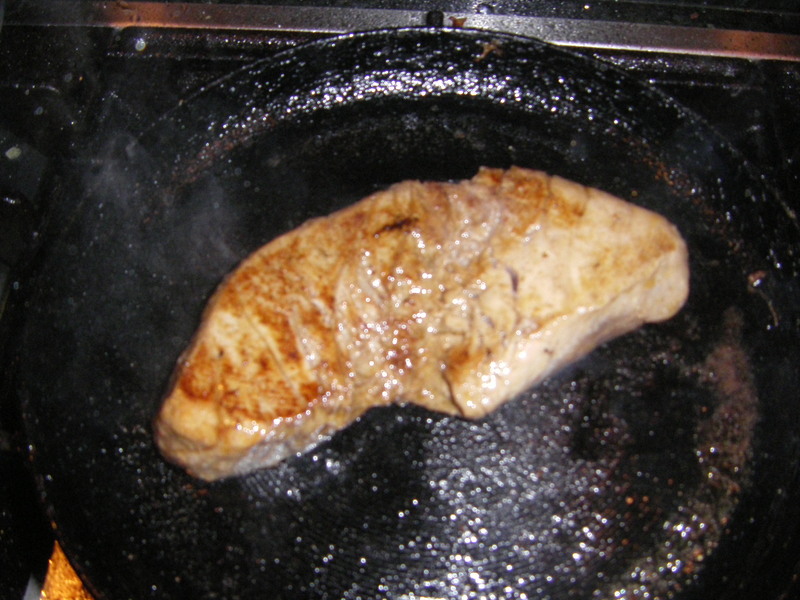 Toss into your pan. Mix with onions (which should be lightly browned) and sprinkle sea salt. Cover and turn heat down to low for 5 minutes. Chop tomatoes into fourths and toss into pan. Cover for 3-5 minutes. 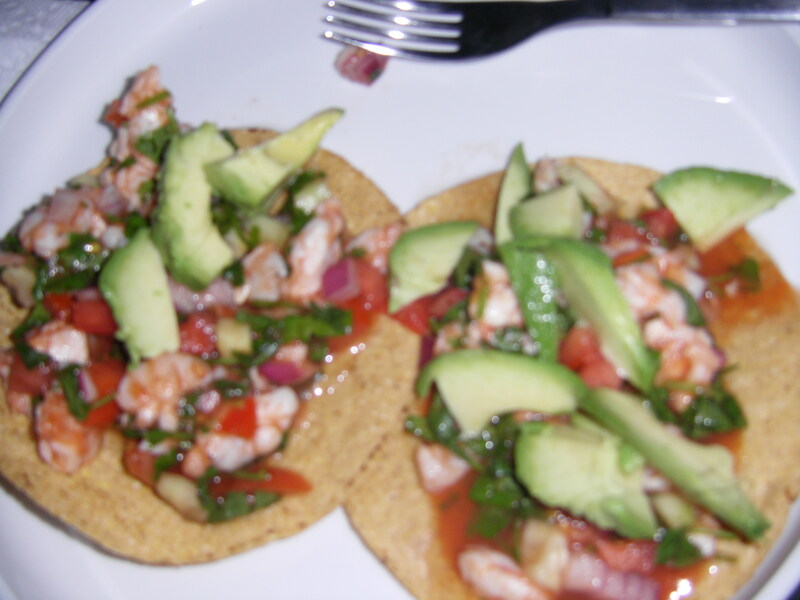 13. serve over tostadas and Enjoy! This was our first Halloween in DTLA and it was safe, fun and family friendly. We went trick or treating during the day with my daughters classmates at the Lumbini Center. They had a parade in the school before we set off to Little Tokyo and made a killing worth of yummy eats. The parents each provided the candy, snack or treat. The school then mixed it up and handed it out to vendors throughout Little Tokyo. At first this bothered me and I felt cheated that we had to provide our own candy! Sheesh! But reconsidering, this was the smartest thing to do. You know where the candy is coming from, what not to bring in case of allergies, and you guarantee your little one a pumpkin pail brimming with healthier treats.